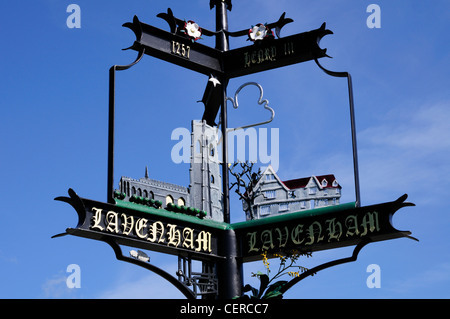 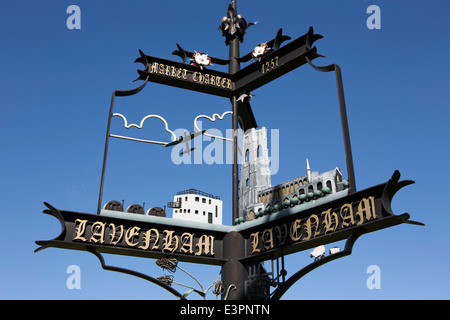 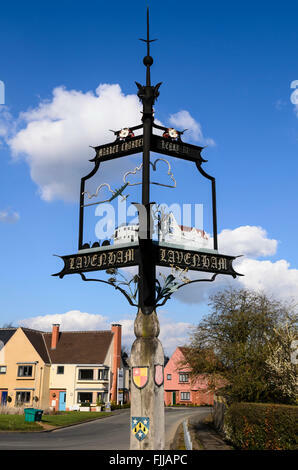 The village sign of Lavenham, Suffolk, England, UK. 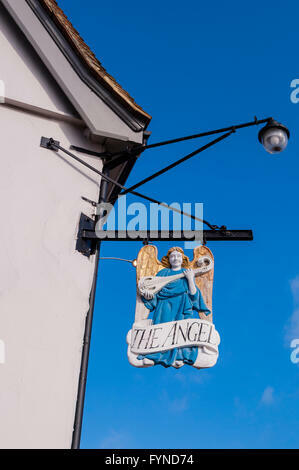 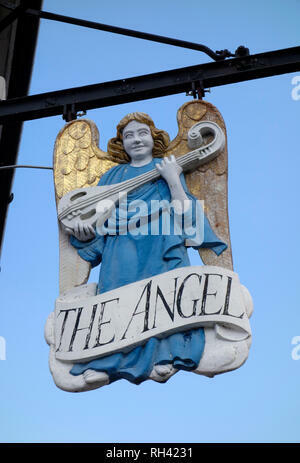 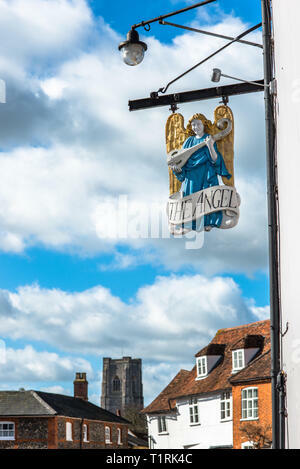 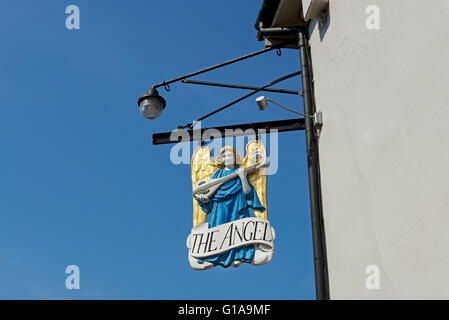 The Angel pub sign in front of the Market Square with St Peter and St Paul's Parish church to the rear. 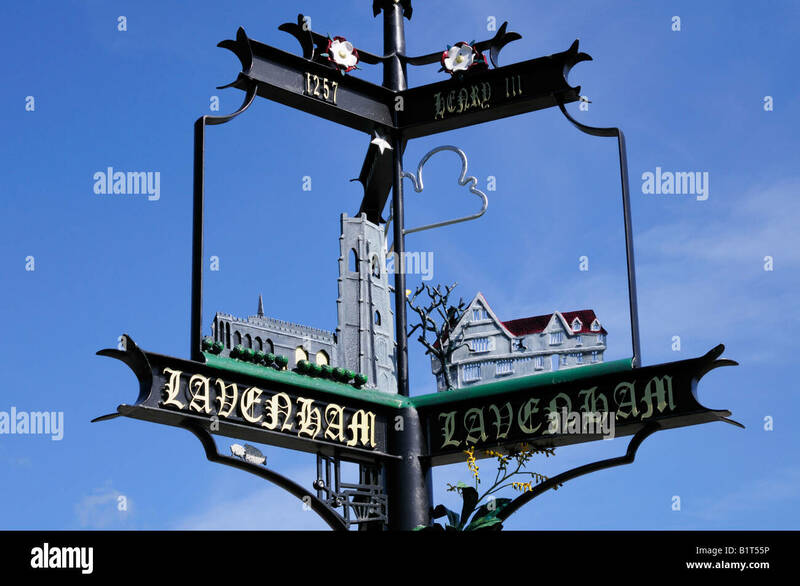 Lavenham village, Suffolk, England, UK. 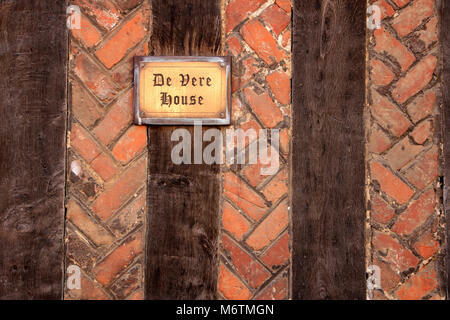 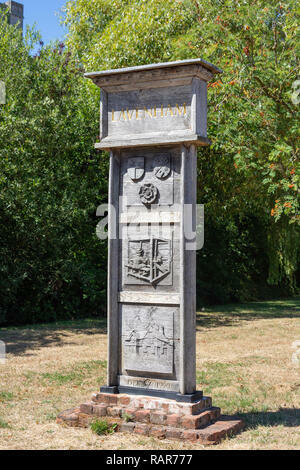 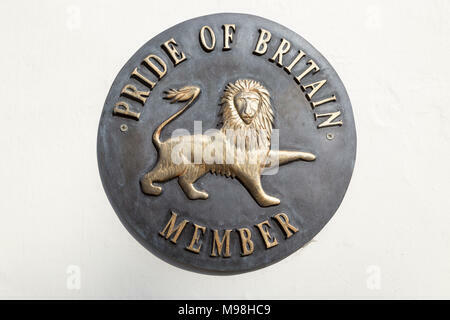 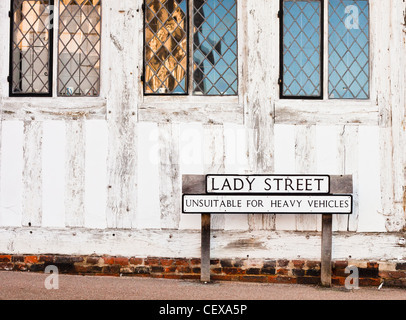 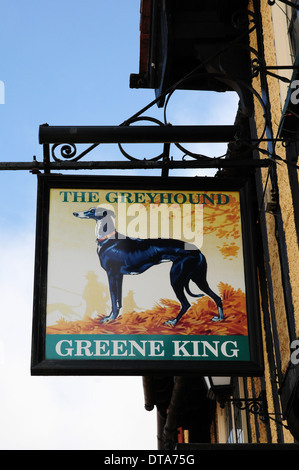 Sign for The Greyhound Public House, Lavenham, Suffolk.